Groupama is set to slip out of the UK top 20 insurers as its 2004 premium income fell by nearly £200m to £306m. Number 20 in the Insurance Times/Standard & Poor's Top 50 for the 2003 year of account was Genworth with a premium income of £397m. Groupama's UK chief executive Francois-Xavier Boisseau said that the income fall was due to the French-owned insurer ceasing to underwrite the Saga private motor book. "There is no point in having a trophy account if it can't return you a profit," he said. "This frees up £200m of underwriting capital". Although income dropped, profitability grew. Groupama's UK business recorded a profit of £21.1m for 2004 compared to £10.6m in 2003. This reflected a return on equity of 16.6% in 2004 compared to 6.5% in 2003. 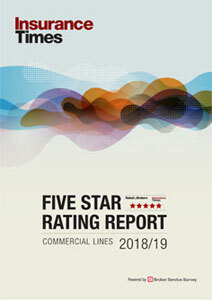 The insurer's commercial lines premium income increased from £70m in 2003 to £84m in 2004: a year marked by the arrival of a new distribution team led by Amanda Blanc, Kate Mutter and customer proposition specialist Cathie Bruce. 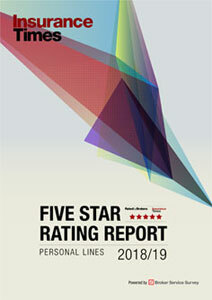 The personal lines book took the biggest hit, falling to a premium income of £165m in 2004 compared to £369m in 2003. Boisseau pointed to falling motor rates, saying Norwich Union rates had fallen 3% to 10%, while Royal & SunAlliance rates had fallen 5%, Fortis' rates 7%, and that Groupama had seen a fall of 4% in its own private motor rates. Boisseau said that Groupama would offer insurance to a broader set of risks in the motor market in 2005. As part of the drive, it is set to launch an fully electronic mini-fleet policy later this year. Other focuses for growth in 2005 include healthcare, where Groupama has set up an advisory board of the major brokers, and commercial lines, where the company is piloting Optimiser, a way of giving brokers small business leads. Boisseau said Groupama was targeting SME growth of 20%-30% in 2005.